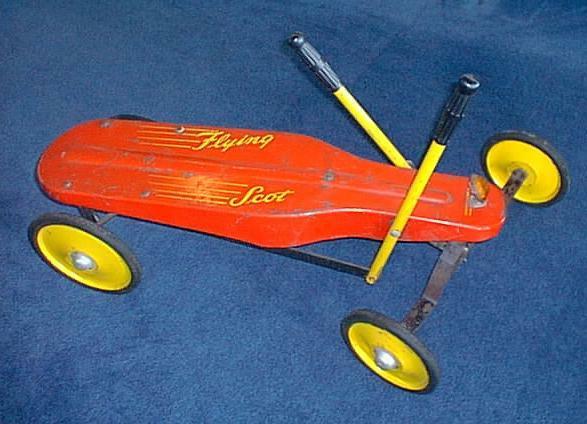 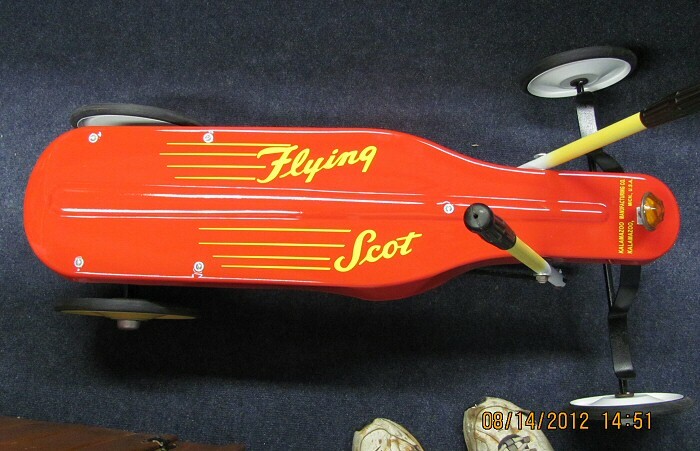 In early 2011 I received an email from a person in Vancouver, BC who kindly sent photos of a toy called the "Flying Scot". 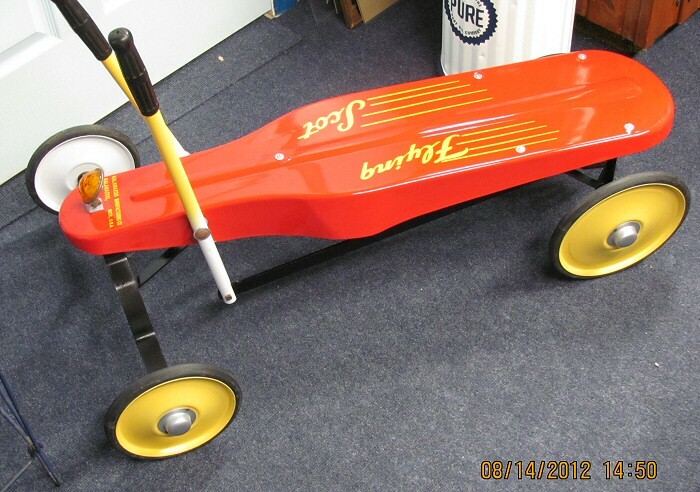 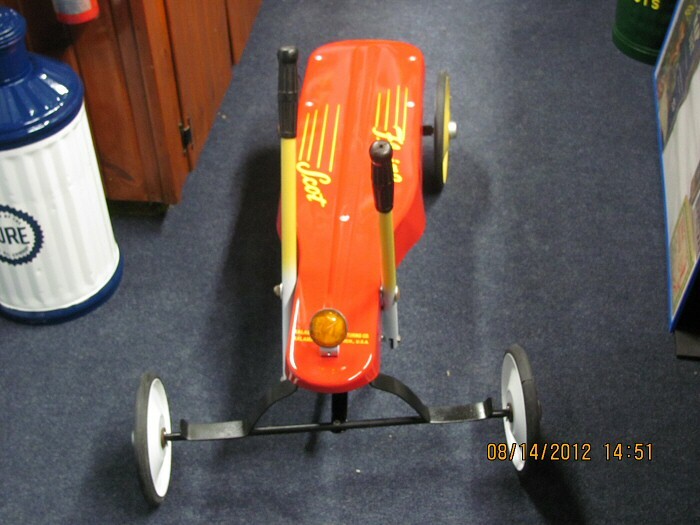 As you can see below, you can propel it with the handles and steer the front wheels with your feet. 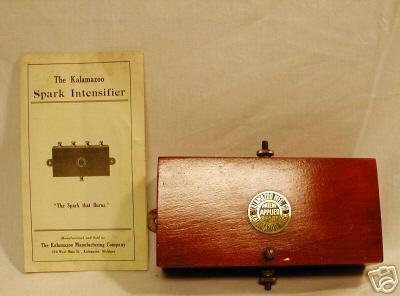 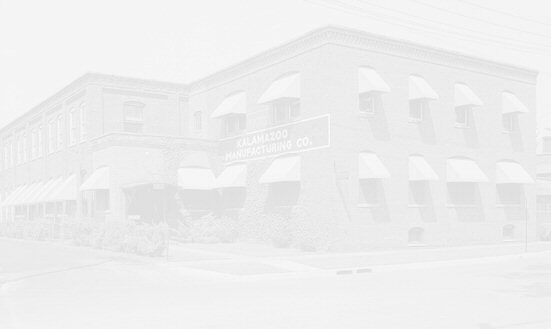 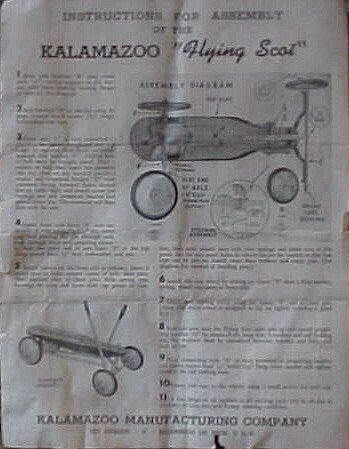 In 2007 I came across a wooden spark intensifier on eBay made by the Kalamazoo Manufacturing Company.